Anti-Aging.live – Stop aging now with TA-65! TA-65 is a dietary supplement and is suitable for both sick and healthy people over 30 years. A healthy living protects the telomeres against oxidative stress and inhibits cell division, including the shortening of the telomeres. Multivitamins show a similar effect, but stopping the shortening of telomeres is not the same as to actually make them longer. TA-65 is the solution. TA-65 is a molecule which is extracted from the Chinese plant Astragalus. It is the only substance so far to be scientifically proven to extend the telomeres of the chromosomes. But why is this so important? 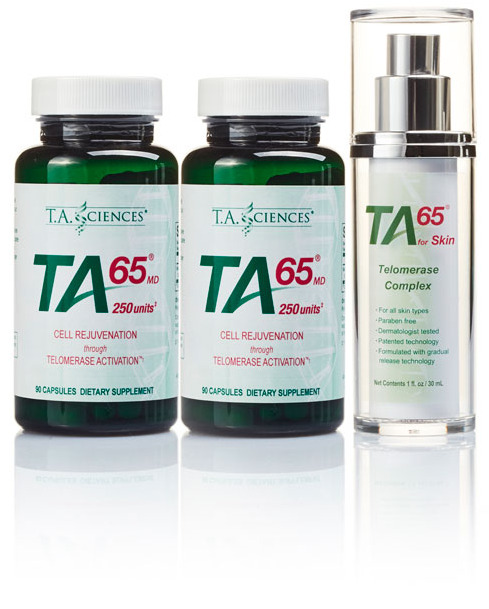 Stop aging now with TA-65!